Richard B. Cohn has practiced real estate law since graduating from law school in 1983. He first practiced in Texas before moving to firms in Pennsylvania and New Jersey before helping to found Earp Cohn in 1991. Mr. Cohn is experienced in virtually all areas of real estate law, including complex commercial transactions, mortgage financing, environmental impacts of real estate transactions, land use and development, redevelopment projects, and municipal tax appeals. Over the past several years, Mr. Cohn has focused much of his practice on commercial leasing, including the preparation of master leases for use at various office, industrial, and retail facilities, the negotiation and drafting of commercial leases and related agreements on behalf of both landlords and tenants, and the representation of leasing agents and property managers of commercial properties. 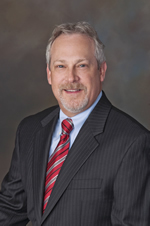 As part of his practice, Mr. Cohn has years of experience negotiating and preparing commercial leases and commercial agreements of sale as well as representing clients in sale/purchase transactions, development applications before municipal and county land use boards, and commercial real estate loan transactions. Mr. Cohn is a former member of the Zoning Board in Haddonfield, New Jersey, where he served for many years as the Chairman. Mr. Cohn sings and plays lead guitar in the classic rock band, “Mother Zeta,” which has performed at many charitable events.